nicu's FOSS'n'stuff: Branding is useless? Fedora strive on get contributors. One of the most important things to devote voluntary work is to get a sense of belonging. That is "You are part of something bigger". How you are going to provide that if you don't have a way of tell apart one project from another. You can make a case in ideological arena, but in the end you need a image to refer to. For me that is the concept of branding. 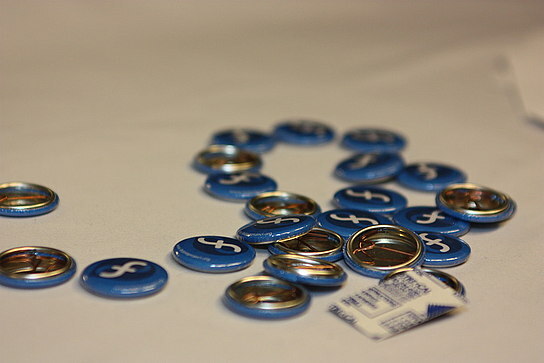 We are expecting people to give us their free time... what else we can provide if not a strong sense of community ... we are blue, we are Free, we are Friends, we have Features, we are First... Capital F for Fedora all the way, our brand. Because I do not contribute with just_another_distro. @nicu - "i am reading the mailing list and saw the display of arrogance"
You see, for the most part, the Fedora desktop team is equal to the Gnome upstream team. As a conclusion, their decisions are biased towards Gnome. What do you think we can do about all this? there is nothing we can do... there are a few people in the Red Hat Desktop Team who control both the Fedora desktop and the direction of GNOME. i can see only two ways out, both *very* unlikely: one is for the community to revolt and at the next round of elections to put people with balls on the Board and FESCo, the only institutions that can put some sense in contributors gone rogue - this is unlikely since only a few seats are open at each election. the other one is if F15 is a huge failure, enough for the Red Hat higher-ups (the managers of those developers) to notice and put their employees back in line - this is unlikely since the RHEL 7 release (the one that will probably include GNOME 3) is still far away and they will hope there is time to squash bugs and improve the design. so if we want to do something, our best chance is to forget about GNOME, find a different favorite desktop (KDE, Xfce, LXDE) and go contribute to it to make suitable for our needs. Perhaps « we » was not the appropriate pronoun? 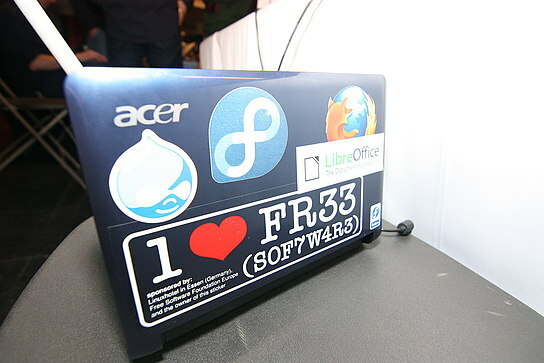 I always have stickers on my laptop, just to show off that I use Linux and am passionate about this. I can mention that I had a sticker of Red Hat dist in 2003 from a 7.3 pack my office purchased and proudly showed that on my laptop. Everywhere I go people asked about it and I would gladly answered them.